Bats get a bad rap. Considered by many to be nothing but rabies carriers, or scary creatures of the night that will tangle in your hair (pleeeease, that is a myth), the general public is not aware of just how beneficial these animals really are to our ecosystems. As the largest predators of night flying insects, and critical pollinators and seed dispersers bats are a vital component to the natural order of things. But bats are in deep trouble. Dying at an alarming rate from an insidious disease called White Nosed Syndrome, which has killed millions of bats in the eastern United States and is spreading westward, they are facing one of the most accelerated and dire wildlife crises in the past 100 years. It is time that people understood just how beneficial bats are to us and just how devastating it would be should we lose them. White Nosed Syndrome - a comprehensive collaborative website with information about this devastating disease. Bat Conservation International: Bat Conservation International is conducting and supporting science-based conservation efforts around the world. Working with many partners and colleagues, these innovative programs combine research, education and direct conservation to ensure bats will be helping to maintain healthy environments and human economies far into the future. The Organization for Bat Conservation: The Organization for Bat Conservation is a 501(c)(3) nonprofit environmental education organization dedicated to inspiring people to protect bats and conserve biodiversity. Since 1992, our mission has been to teach people about the importance of bats and be a leader in bat conservation. What Does the Bat Say: Wonderful video produced by 3rd graders about bats! 6 Super Cool Facts About Bats! Bats sustain entire ecosystems. For instance, the lesser long-nosed bat pollinates the saguaro cacti, in the Sonoran desert of Mexico and south-west USA, which is incapable of self-fertilisation. This plant is key to the whole Sonoran ecosystem. Fruit-eating bats help regenerate fragmented rainforests, distributing five times more seeds per square metre than birds and possibly accounting for 95 per cent of all forest regrowth. No bats = no more tequila slammers! It's bats that pollinate agave plants, from which this popular drink derives. Bats also propagate 500 economically important night-flowering species. Bats are nature's crop defenders, preying on the pests of cucumbers, corn, coffee and cotton. Each Texan night, a million-strong colony of Mexican free-tailed bats consumes the weight of 25 elephants in corn earworm moths. Bats help to combat illness and disease. 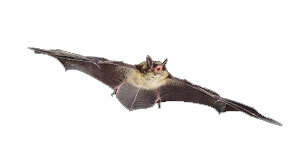 Some species of bat eat 600 mosquitoes an hour, serving as a natural control agent for malaria. And stroke patients are treated by an anticoagulant named Draculin, that was developed from vampire bat saliva.